Dr. Sonny Goel, MD, has extensive experience treating blepharitis at his Baltimore, MD-area practice. Blepharitis is a condition in which the eyelids become inflamed due to clogged oil glands, eye infections, or other skin problems. Though blepharitis will not affect your vision, it can be very uncomfortable and cause feelings of self-consciousness. Fortunately, Dr. Goel can provide appropriate care to alleviate swelling and itching, in addition to guidance on reducing the risk of future flare-ups. Blepharitis is an inflammation of the eyelid. There are two types of blepharitis: anterior and posterior blepharitis. Anterior blepharitis will affect the outside of your eyelid near your lash line, and posterior blepharitis will affect the inside of your eyelid. Often, anterior and posterior blepharitis will occur simultaneously. Though not typically serious, it can increase your risk for a stye, chalazion, and recurring pink eye. It can also leave scars and cause your eyelashes to come out. In severe cases, your irritated eyelid could cause an ulcer to develop on your cornea. Frequently, anterior blepharitis will occur because of a problem with the Meibomian glands, which produce an oily substance that helps prevent the excessive evaporation of tears. If the glands are not functioning properly, they may not produce enough oil, or the oil could have an irregular makeup. Blepharitis is not typically serious. However, it can increase your risk for a stye, chalazion, and recurring pink eye. Anyone can develop this type of eye irritation, but it is more likely to develop if you struggle with dry skin, dry eyes, or dandruff. 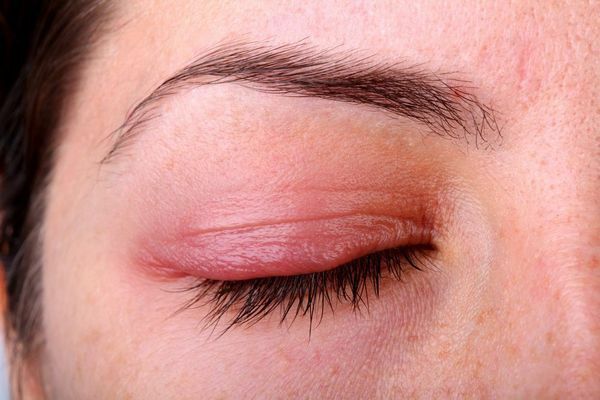 Eye infection, acne rosacea, and other skin conditions can also increase your risk for eyelid inflammation. If these symptoms last more than a week despite regular hygiene, you should schedule an appointment with Dr. Goel. Blepharitis is a chronic condition, and patients often experience recurrent bouts of inflammation. To reduce these risks, it is important to maintain good eye hygiene. You may need to use specialized eye creams and washes daily. Dr. Goel will discuss your ongoing care and help you find the treatments that will be most effective. If you are suffering from the symptoms of blepharitis, contact our office today to book an appointment. Dr. Goel will perform a thorough assessment to determine the best treatment for you.